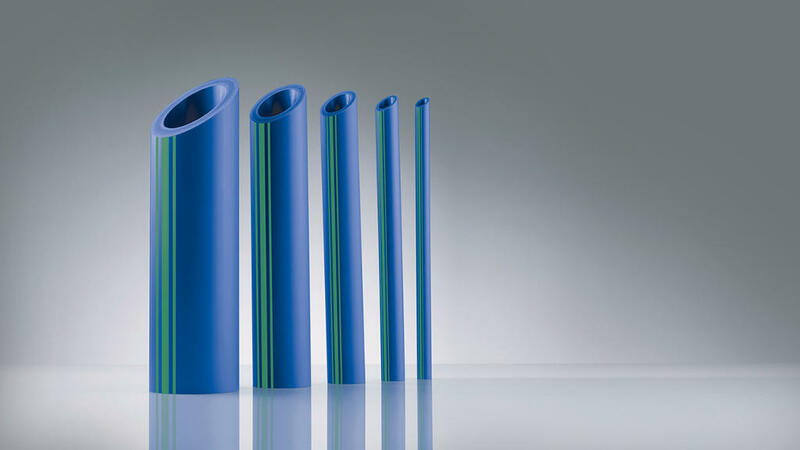 KraussMaffei Berstorff worked in close collaboration with Poloplast GmbH, a leading plastic pipe manufacturer and longtime customer of KraussMaffei Berstorff, to develop a special concept for manufacturing 5-layer PP-R pipes with fiberglass reinforcement. The system was successfully commissioned at the Poloplast’s plant in Ebenhofen, Bavaria, in late November of last year. 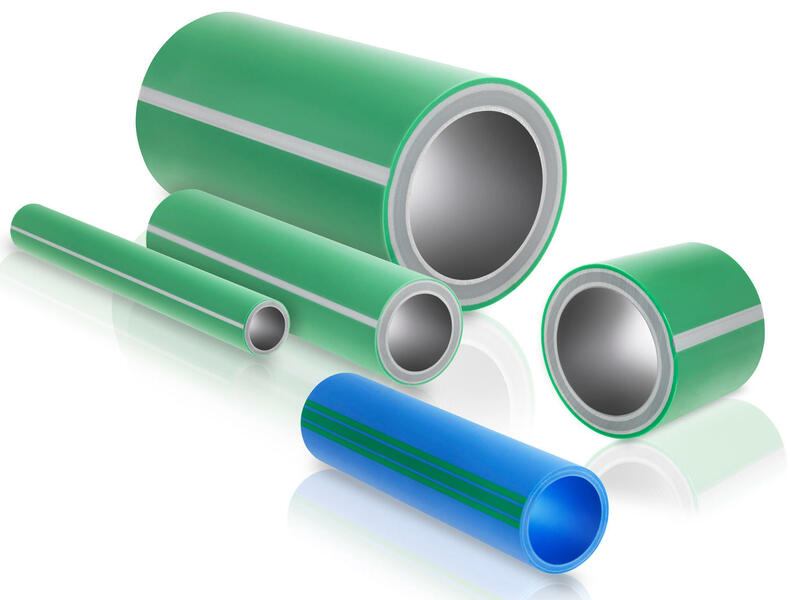 Poloplast has also received product approval and authorization to produce the pipes used for drinking water and air-conditioning systems (for the diameter range of 32–250 mm). “Throughout a challenging development process that involved various tests and a wide range of providers, KraussMaffei Berstorff was, in the end, the provider that impressed us the most” says David Zovkic, Head of Production at Poloplast. In addition to outstanding project management and excellent expertise in processing technology, the pipe head concept meets our high standards for material composition and quality” explains Zovkic. Both the material composition and the layered structure of the PP-R pipes are innovations. As a result, the authorization requirements are appropriately stringent. “We are pleased to have been able to work with KraussMaffei Berstorff on this development project and to have laid the foundation for producing very high-quality plastic pipes for use in drinking water and air-conditioning systems,” Zovkic concludes. Even though KraussMaffei Berstorff boasts a great deal of expertise in multi-layer systems, the project developed for Poloplast is still new and unique. “We overhauled the spiral distributor system design in order to meet the requirements for the individual layers at their thickness,” explains Andreas Kessler, General Sales Manager for KraussMaffei Berstorff at the Munich location. The extruder/pipe head combination has been designed to save a lot of space. The KME 45-30 B/R main extruder, which features the KM-5L RKW 94-250 pipe head for producing the PP-R intermediate layer, is closely surrounded by four coextruders from the same series, arranged in a half-circle, as well as the KME 20-25 B/R coextruder for applying strips. This set-up lets the machine operator control and monitor production from a central position. In addition, the pipe head features energy-efficient IPC (Internal Pipe Cooling), which ensures precise heat balance for thick-walled pipes. The standout property of PP-R pipes with fiberglass reinforcement lies in their low degrees of elongation and bending. This gives them a stiffness that is many times higher, which in turn provides quite a few advantages when laying pipe. The pipes are very frequently installed so that they are exposed under suspended ceilings – especially in public buildings. The Poloplast company represents innovative products in plastic piping, compounds and polymer engineering. In its 60-year company history, Poloplast has developed into one of the leading plastics specialists. Poloplast, a subsidiary of the Wietersdorfer Group, runs production at two locations, one in Ebenhofen (Bavaria) and one in Leonding (Upper Austria).